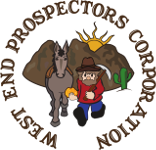 Maps and or directions to claims | West End Prospectors Corp.
How do I get maps or directions to our claims? We've been to Rand, Buckshot, Yellow Gopher... but not the others.. we were thinking about visiting Yuba or Klamath and need more information about them and their locations. Would like to join the clubs outing event this weekend. I would like to join the clubs outing this weekend, please let me know. You need to come to a General Meeting and get a member to sponsor you if you want to go to WEPC outings. like to attend meeting on sept 1 , at the claim if at all possible ? Can someone please give directions to the buckshot claim for September 1st meeting. I'd Love the opportunity to meet ya all and bring some a few ribeyes and hot dogs to bbq for everyone. Excited to join the club and share some good spots and stories.